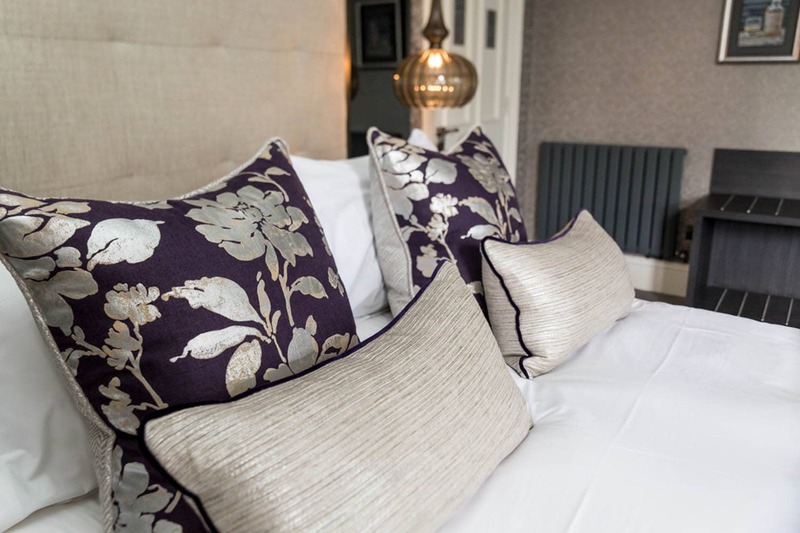 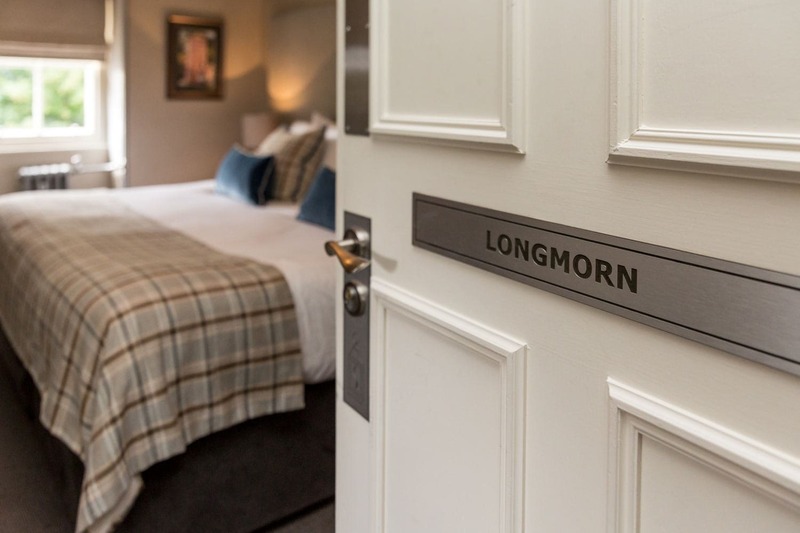 Our hotel, built in 1888, offers sixteen individual and bespoke en-suite rooms ranging from cosy and elegant singles to eloquently styled king and super-king size doubles. 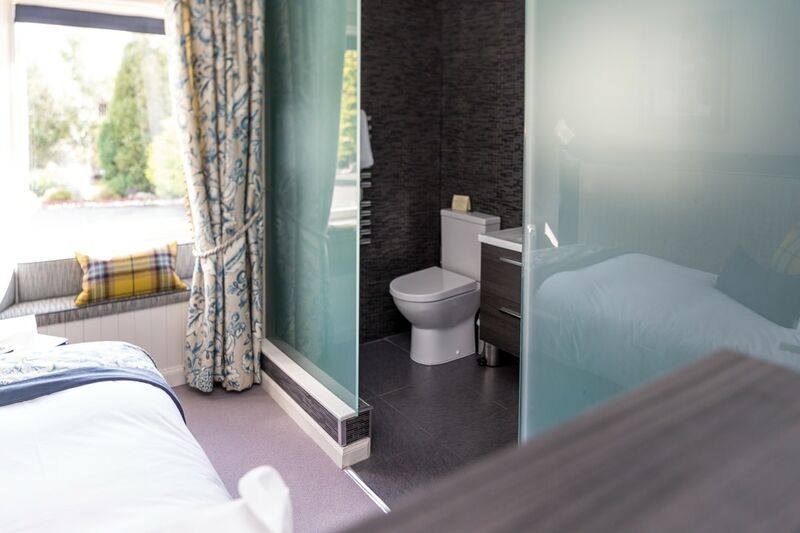 Every room has tea and coffee making facilities, a flat-screen television, free Wi-Fi and en-suite bathroom stocked with complimentary toiletries. 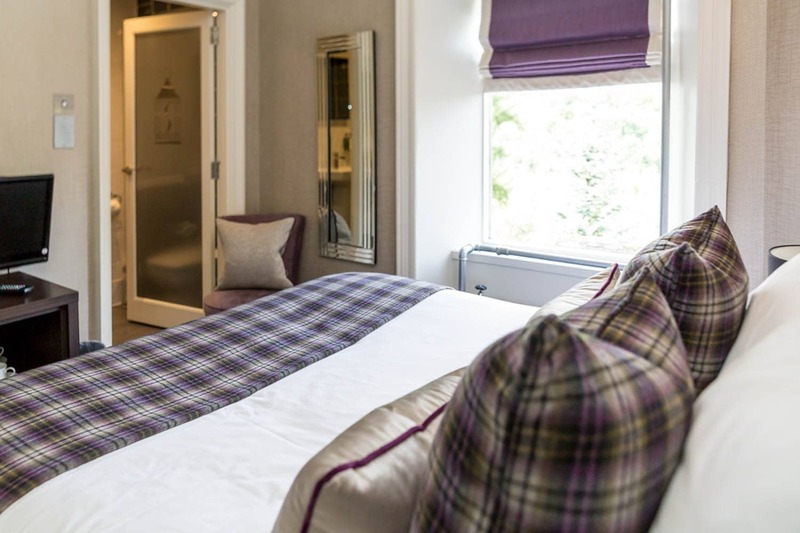 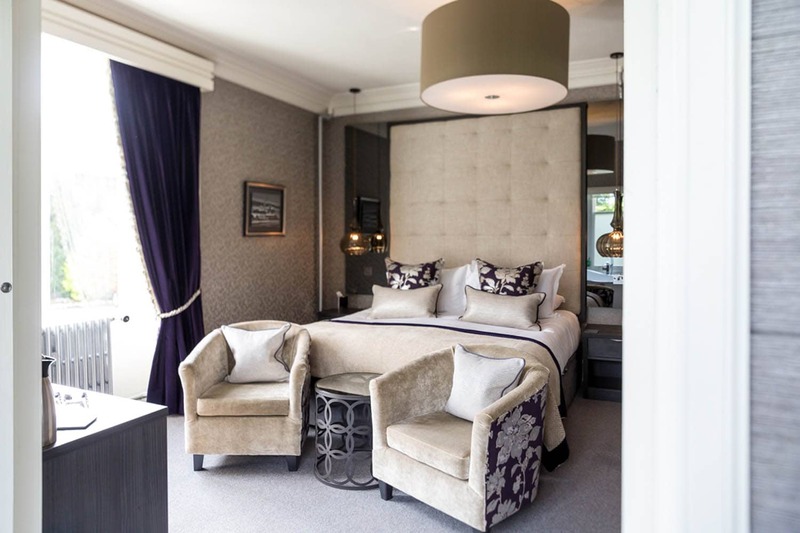 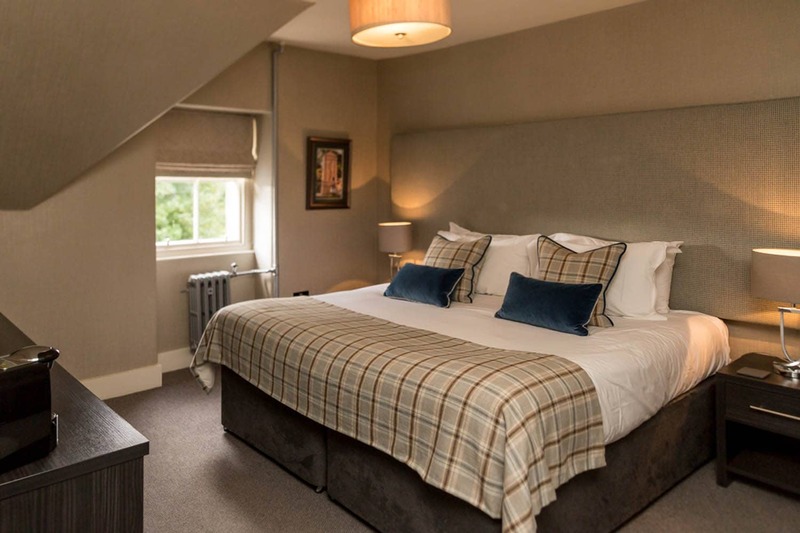 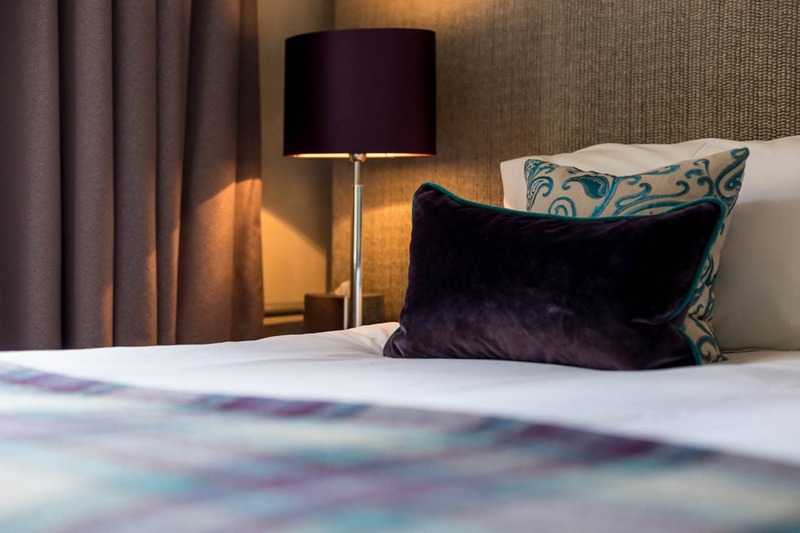 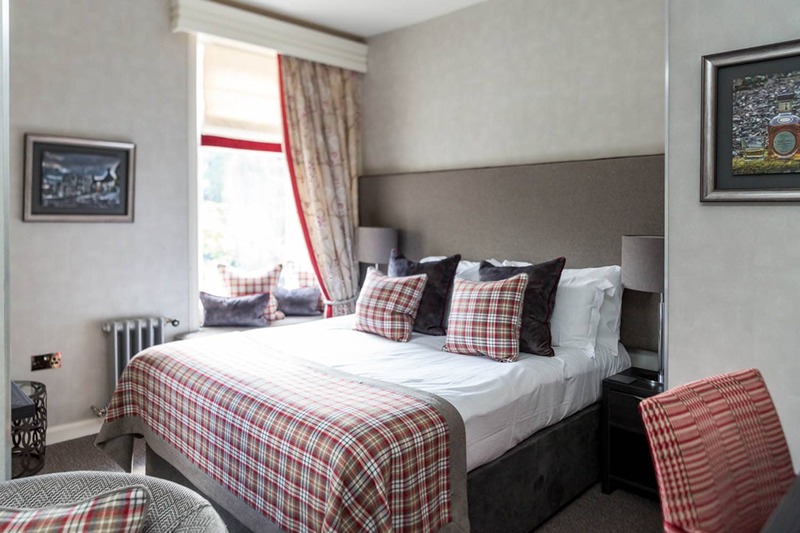 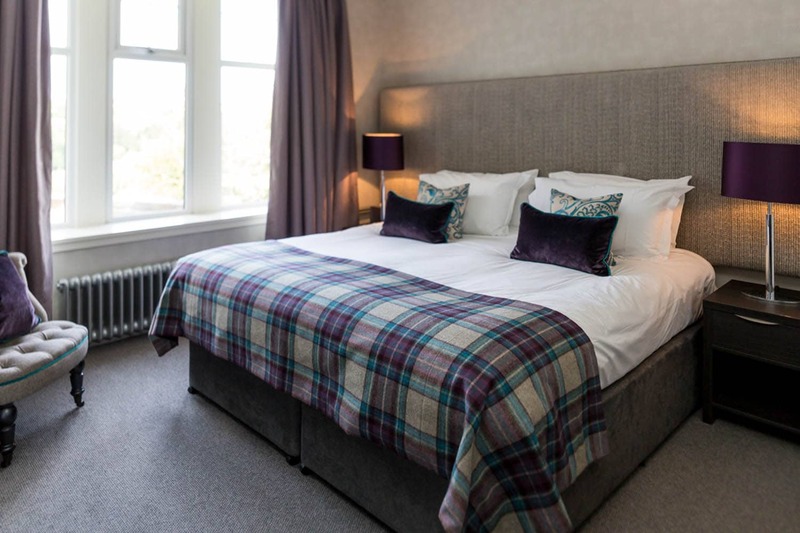 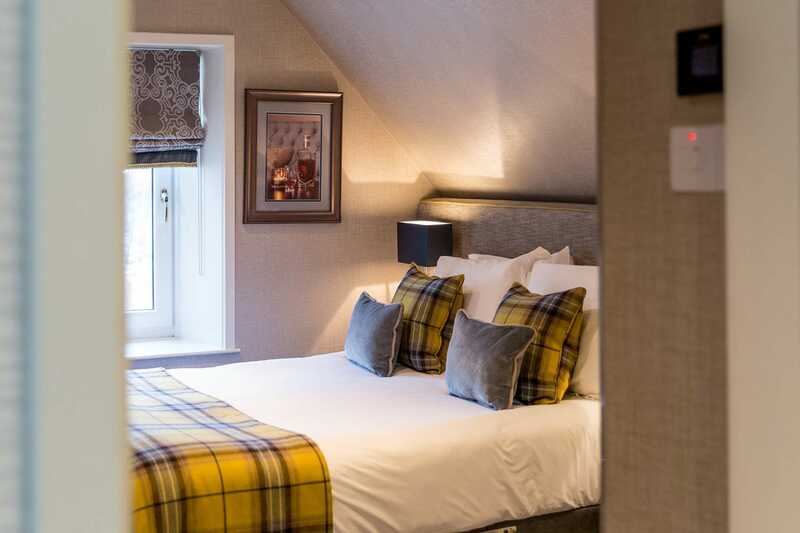 With the Glenfiddich Terrace and manicured lawns looking out over the Spey Valley to the front, and a grand ornamental pond with fountains and stoned pathways set within the shadow of Ben Rinnes to the rear, whichever room you select, the view is sure to compliment your stay. 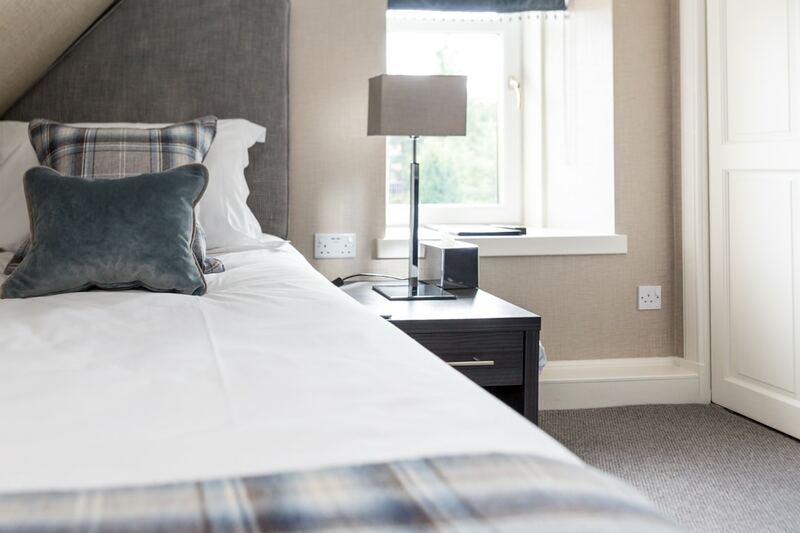 Cosy, en-suite single rooms, simply furnished and provided with tea and coffee making facilities and a flat screen television. 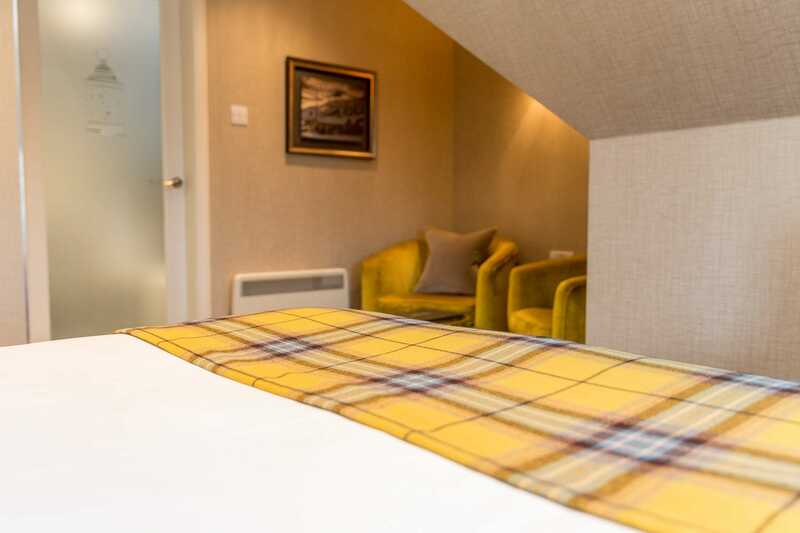 Ideal for the business traveller or lone explorer looking for a quiet and comfortable place to recharge the batteries of an evening. 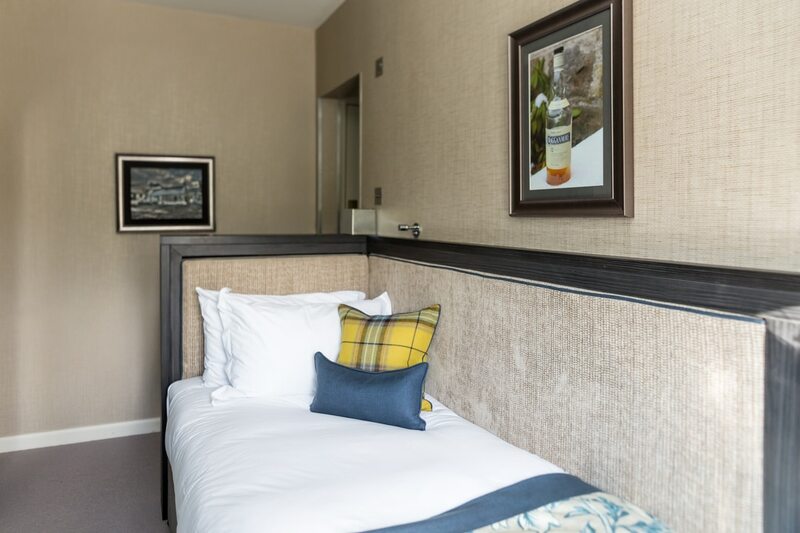 Enjoying all the facilities and comfort of our single rooms, but with a little added space and a king-size bed, our Bijou rooms will appeal to the business person or single traveller looking for that extra bit of luxury. 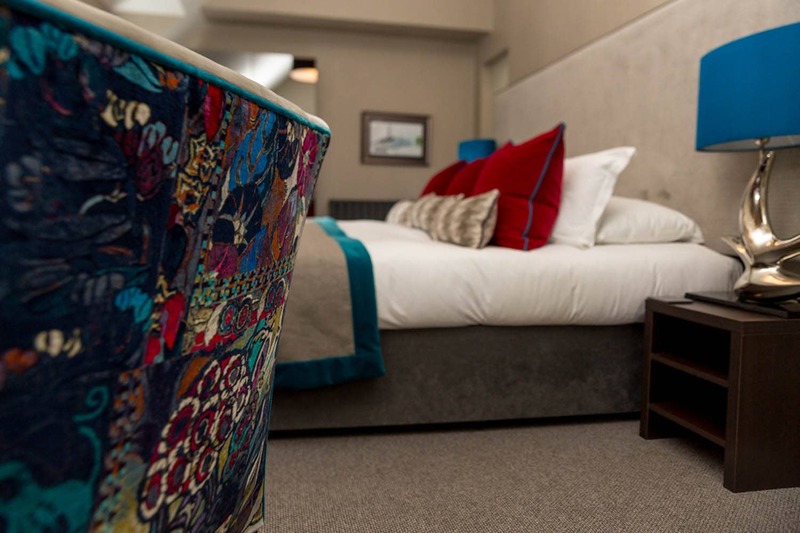 All the comforts of our Bijou King accommodation with the added advantage of extra space, making our Deluxe Kings the ideal room for corporate guests, couples and single travellers looking for a longer stay and who really want to make themselves feel at home. 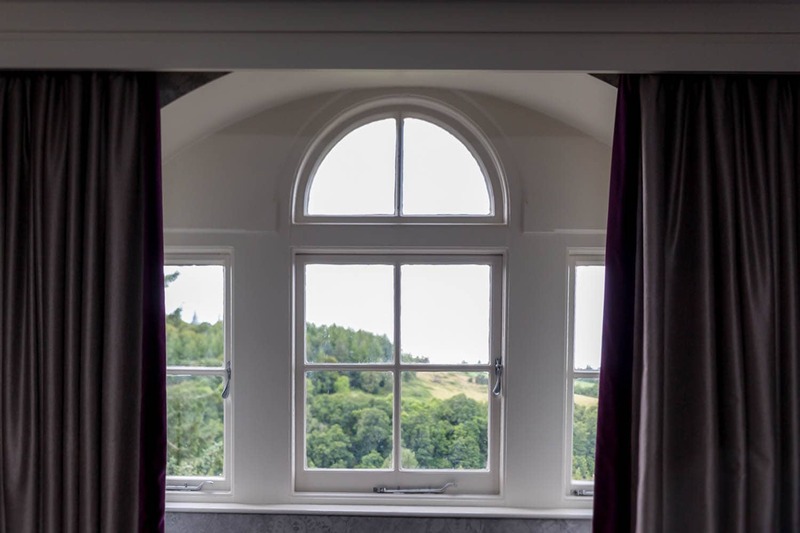 Penthouse living amidst the old-world rural charm of Speyside. 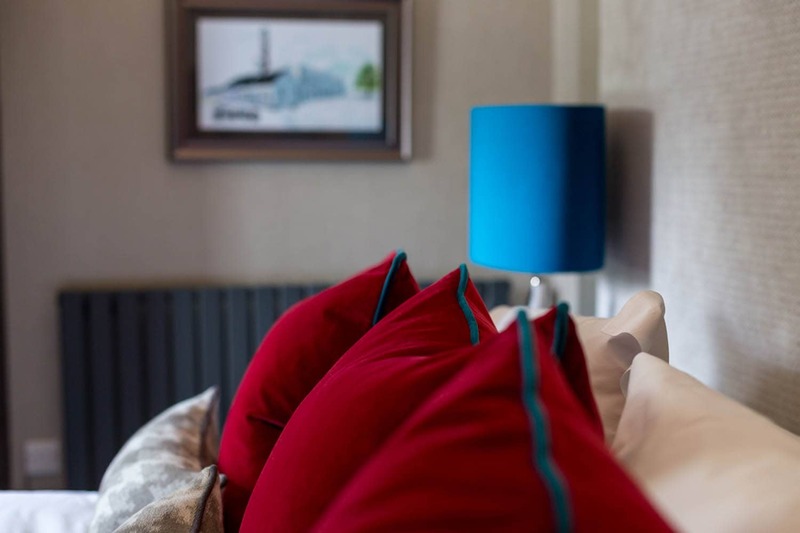 Contemporary and fresh, our Clubs offer all the conveniences of the modern with a few trappings of old fashioned luxury to ensure that your stay, no matter the length, is one of comfort and relaxation. 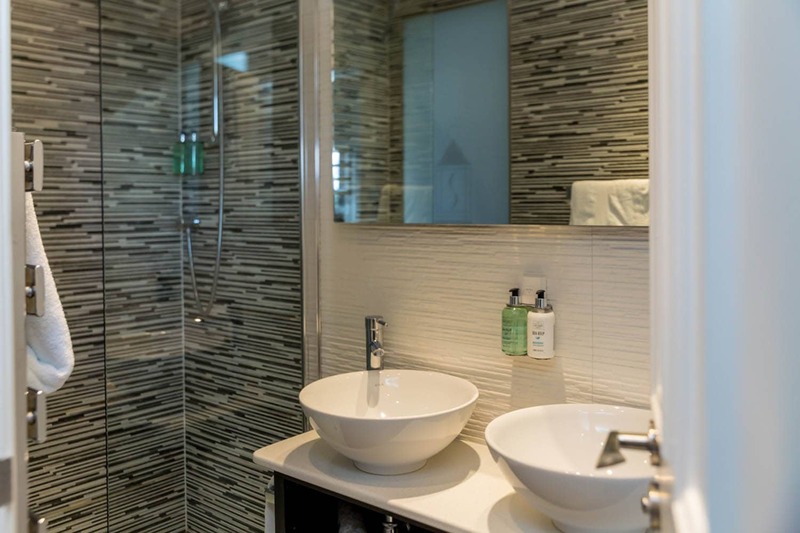 The rooms are decorated in sleek minimalist style and equipped with under floor heating, heated towel rails, sensor operated lights and flat screen televisions with DVD capability. 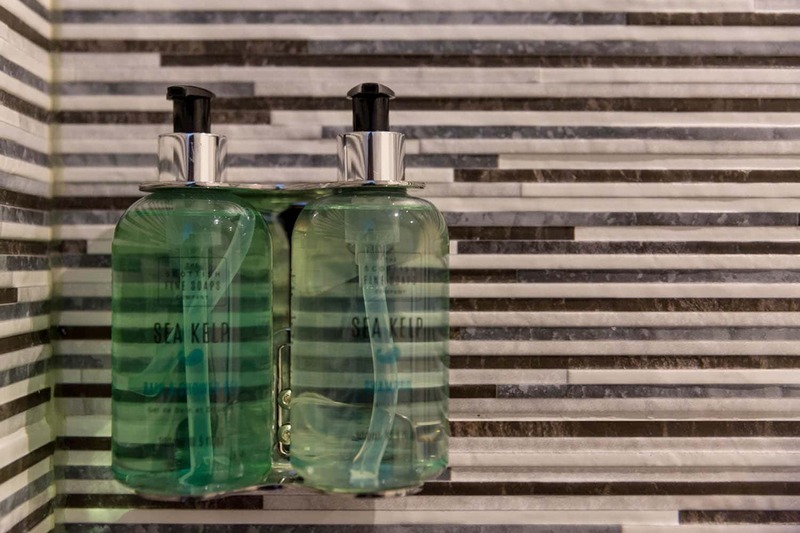 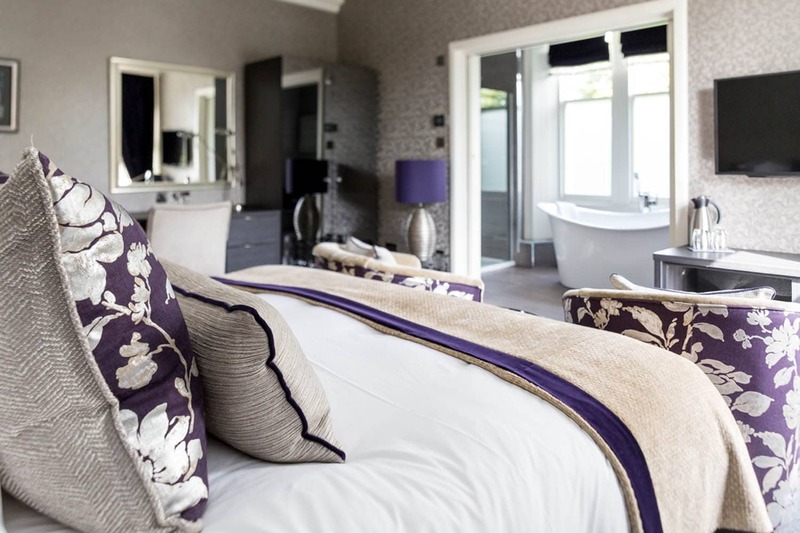 Expect to find luxury toiletries and comfy dressing gowns awaiting your pleasure. 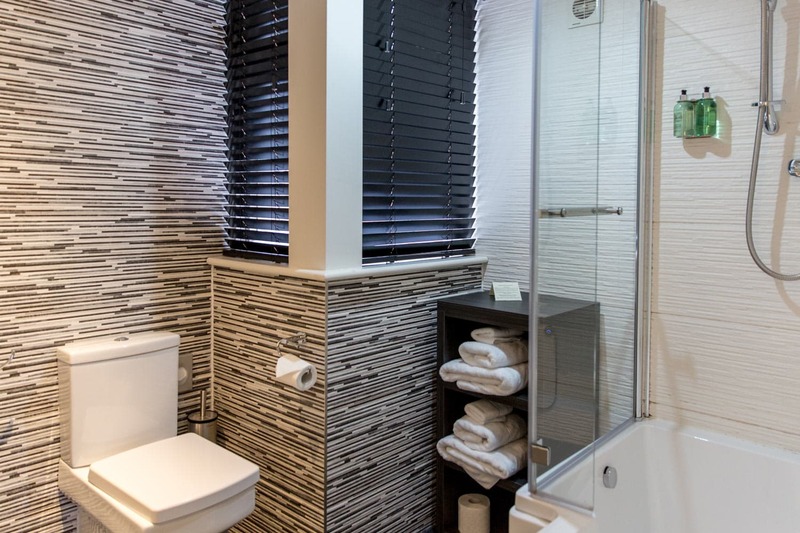 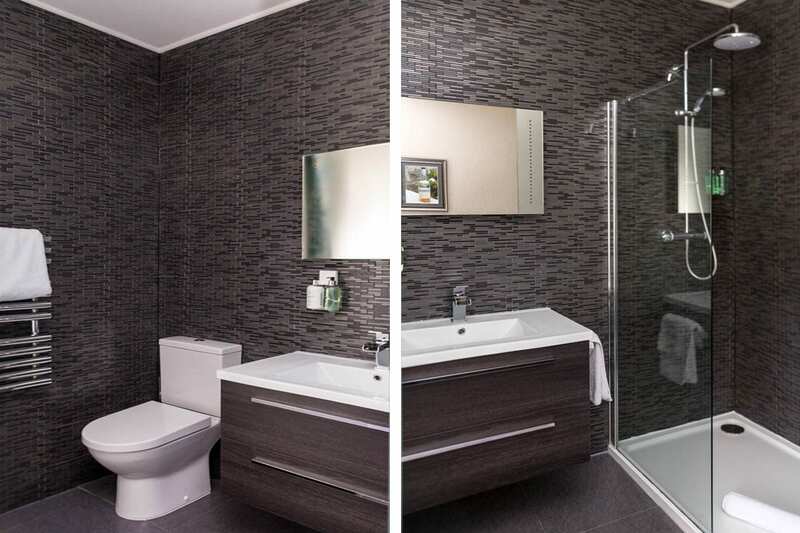 Three of these rooms are twin capable - please let us know if this is the type of set up that you require. 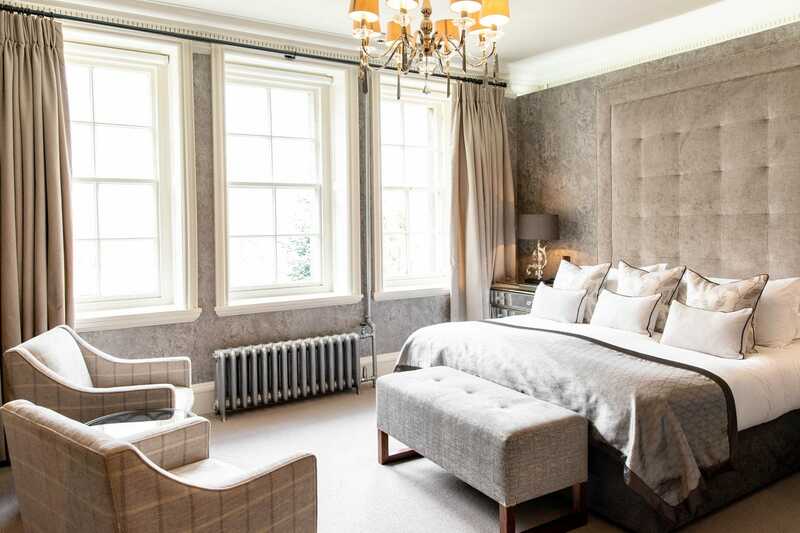 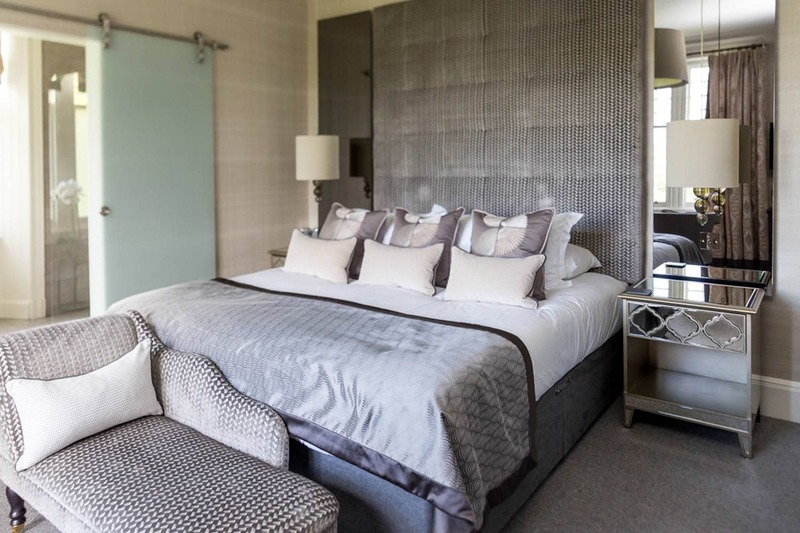 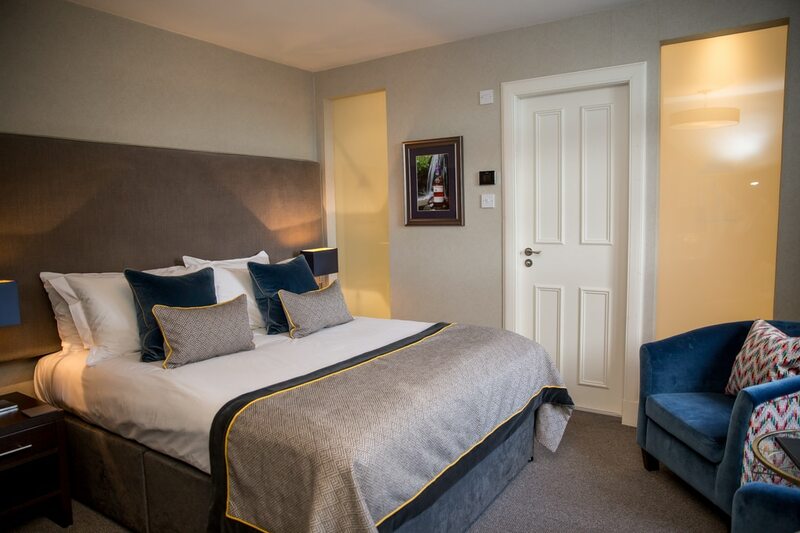 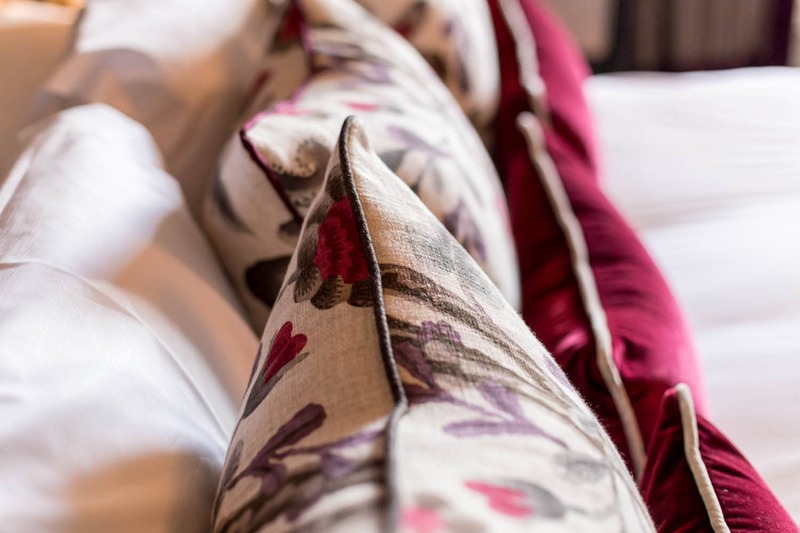 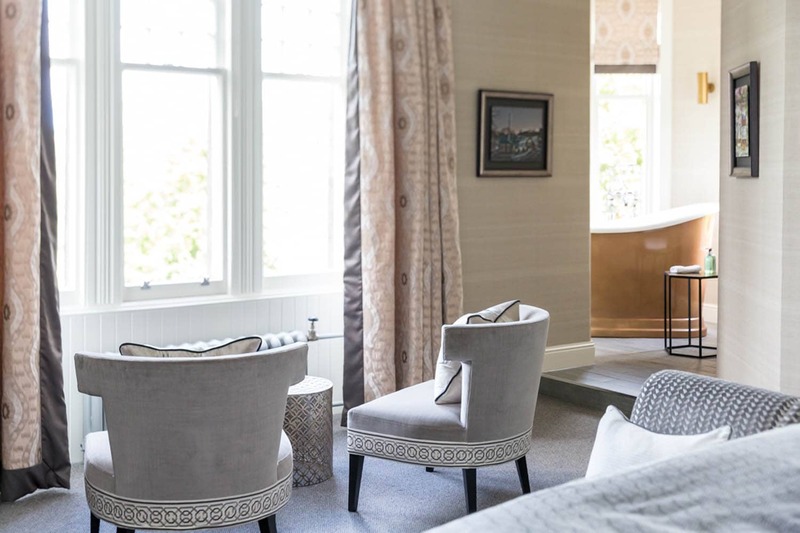 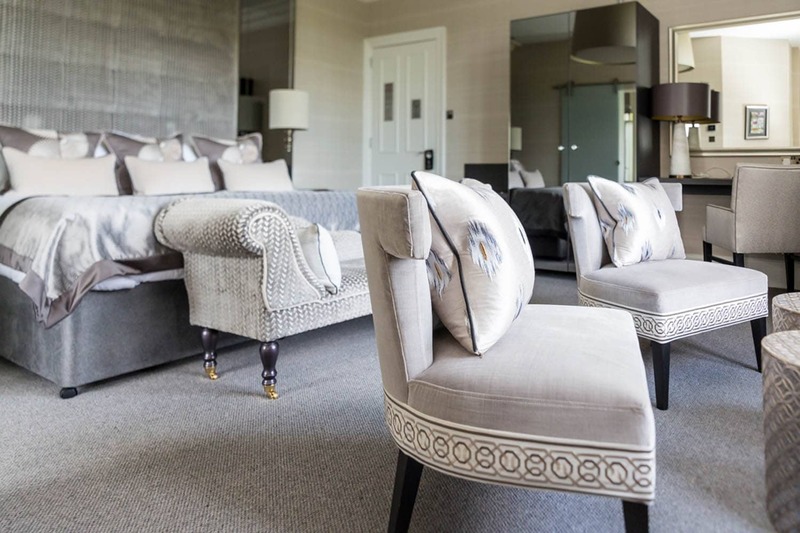 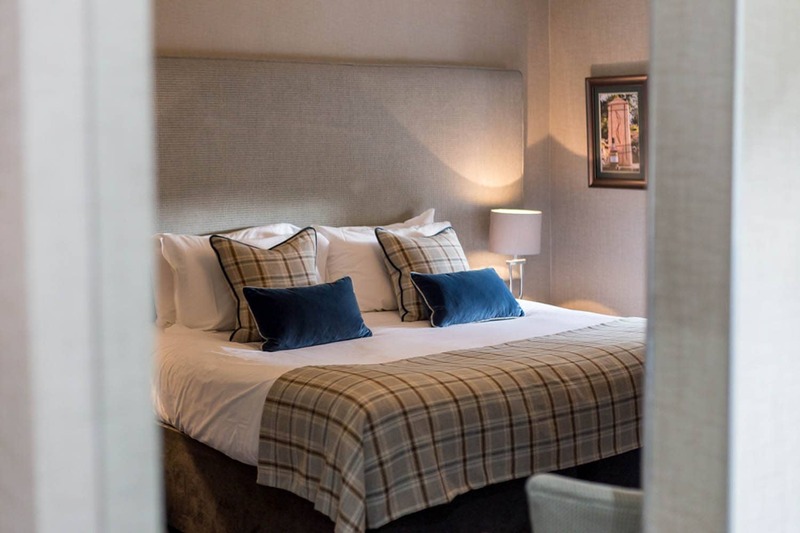 Luxuriously appointed, wonderfully spacious and affording a glorious view of the Spey Valley, our Executive Club rooms offer a perfect marriage of old world splendour and modern convenience. 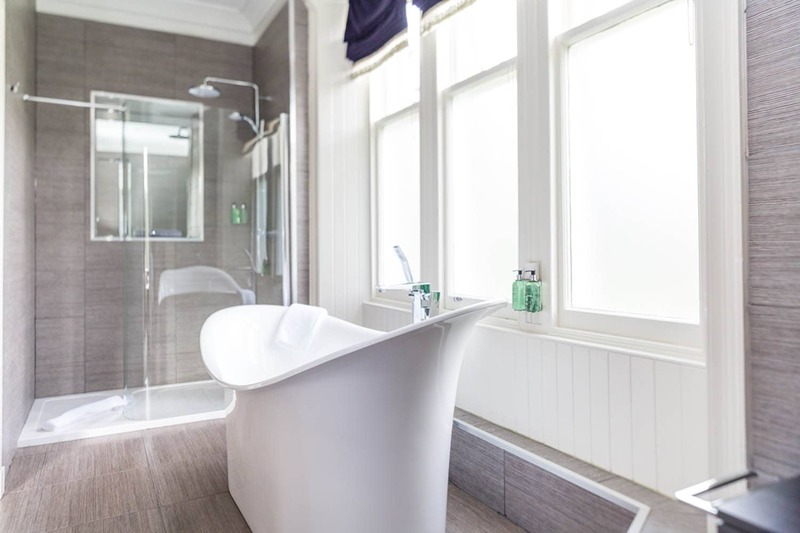 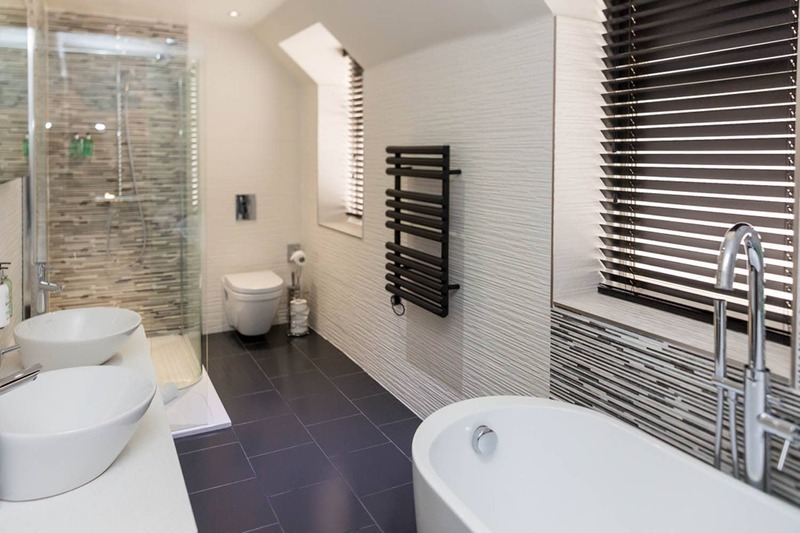 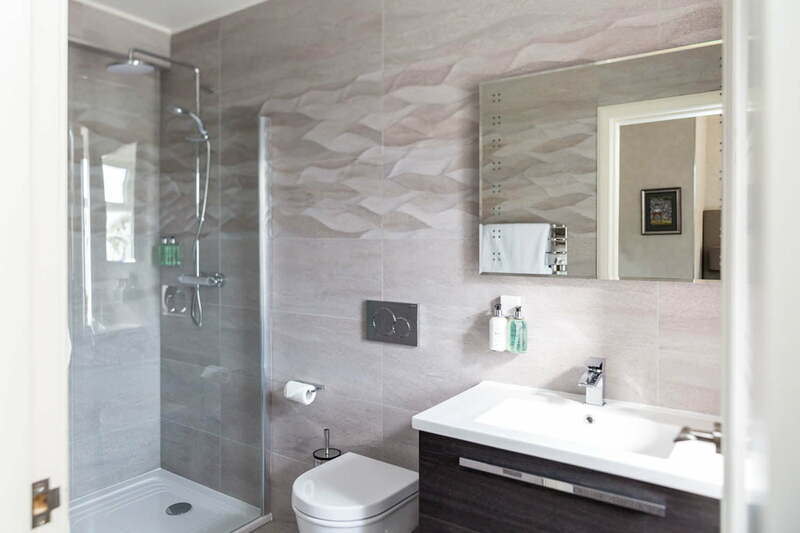 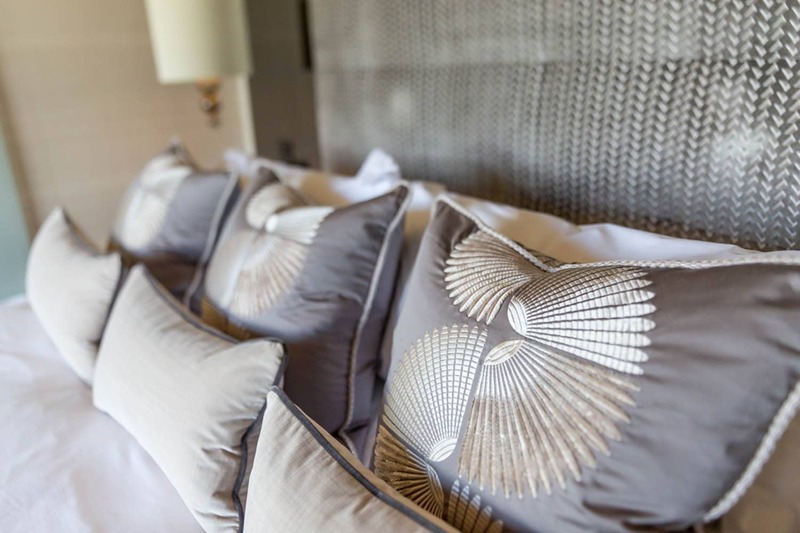 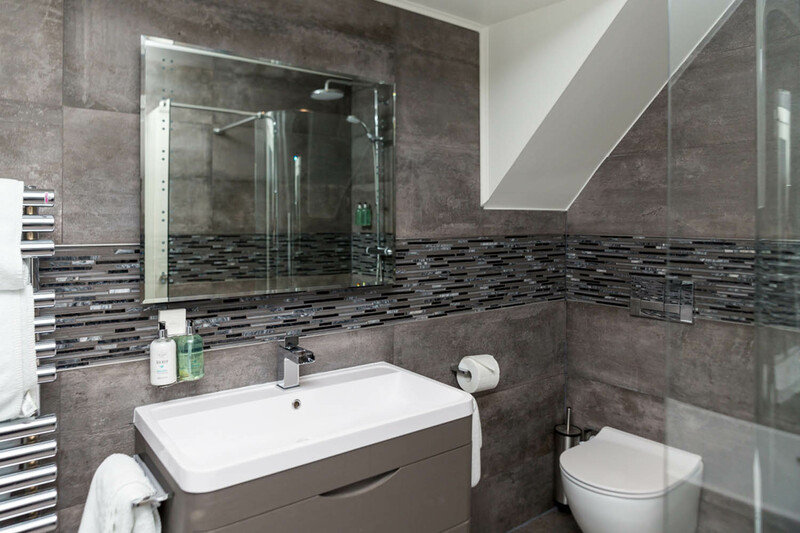 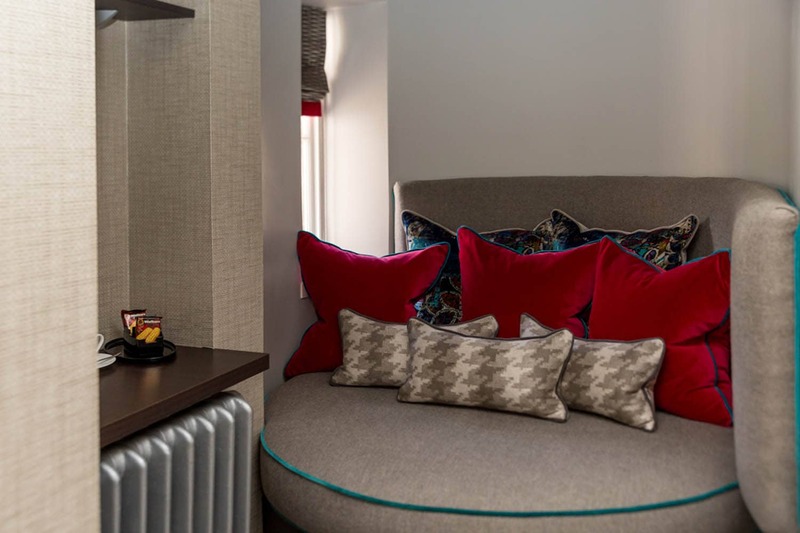 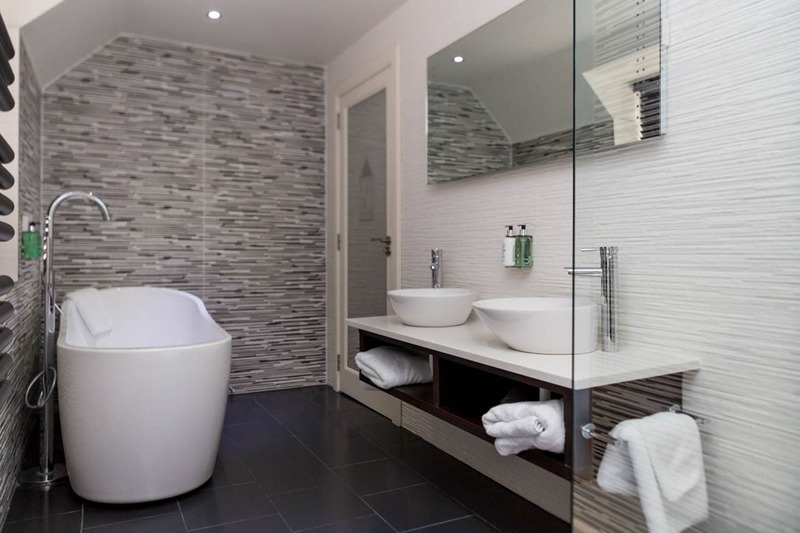 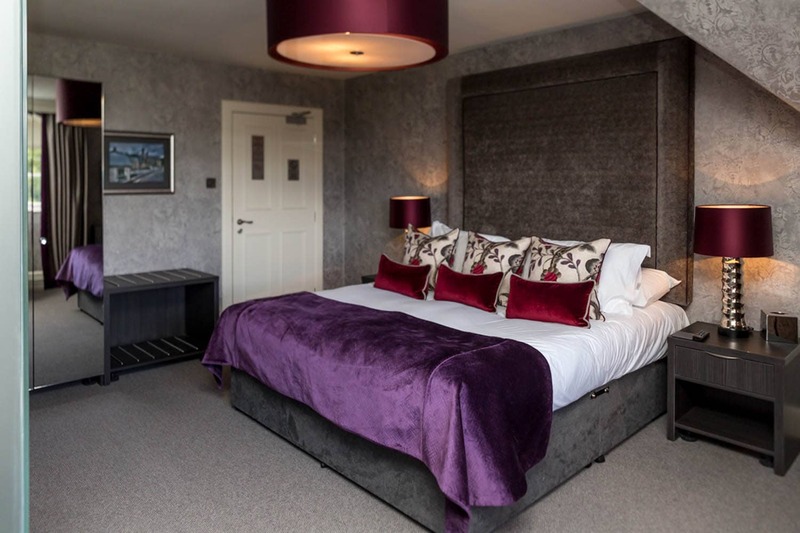 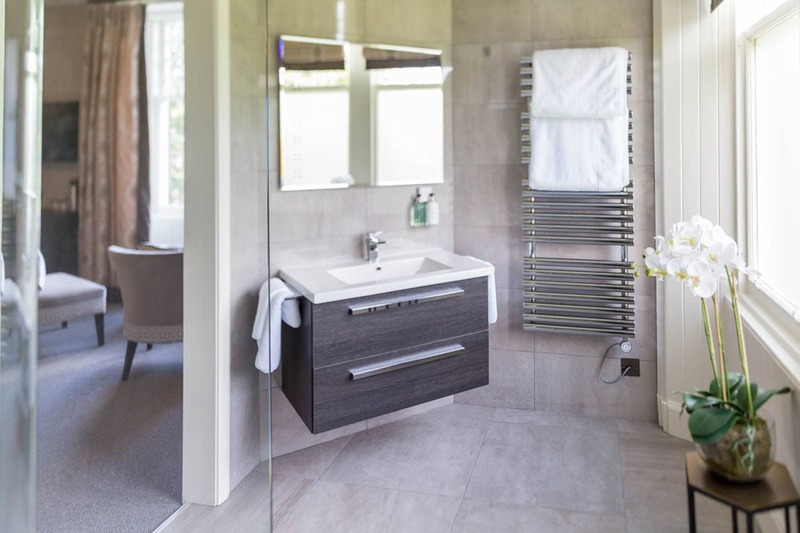 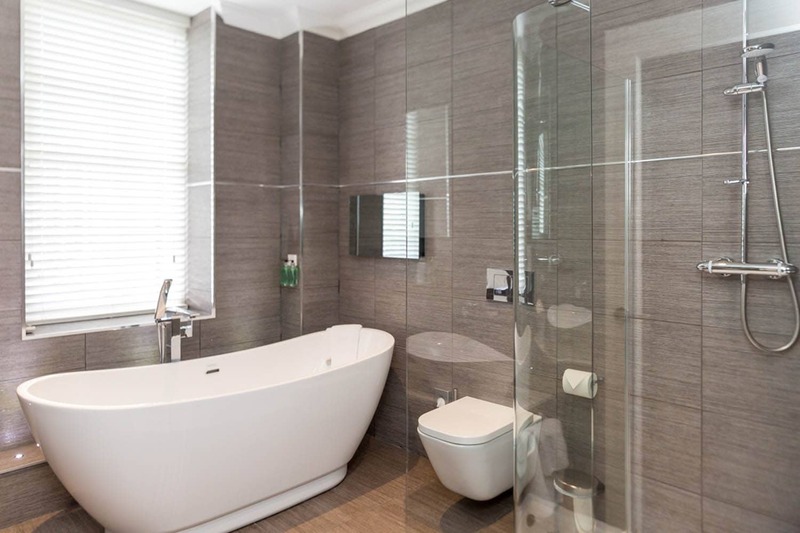 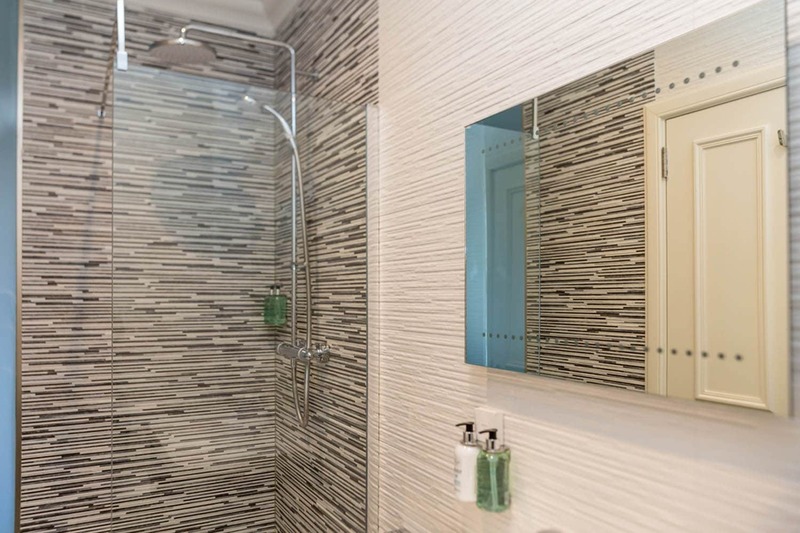 Equipped with bespoke hand-crafted furniture, super-king sized beds, stand alone baths and walk-in shower enclosures, all three rooms offer the perfect space for guests who really want to spoil themselves. 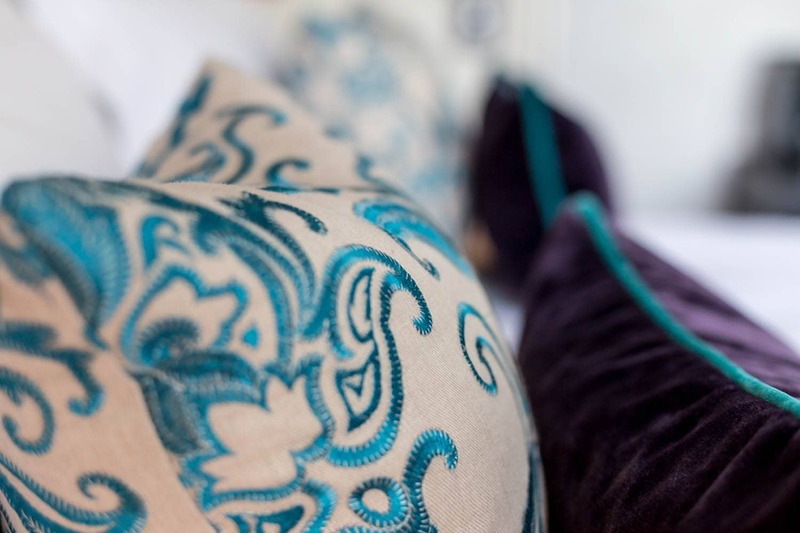 Serene. 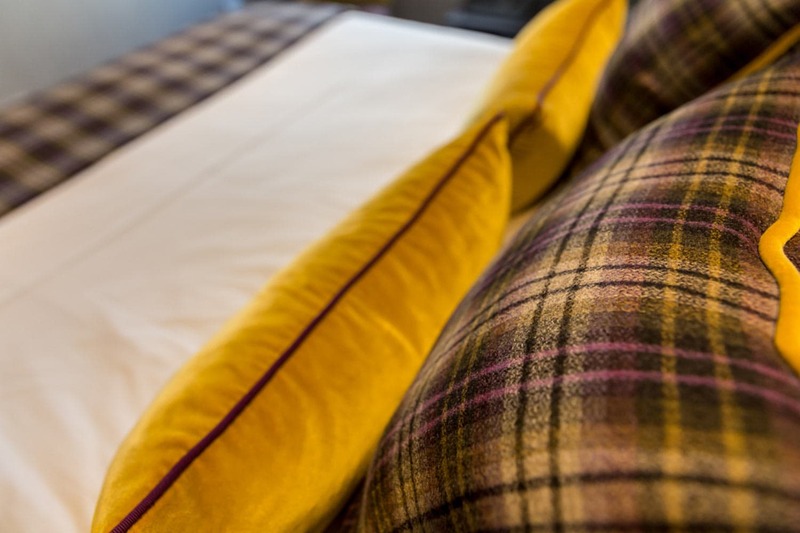 One word which perfectly encapsulates everything down to the very last detail in our Macallan, Balvenie and Aberlour Junior Suites. 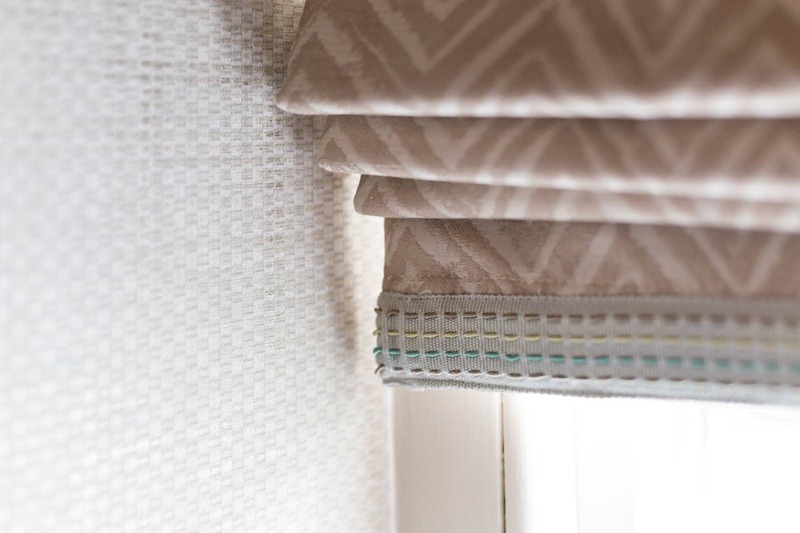 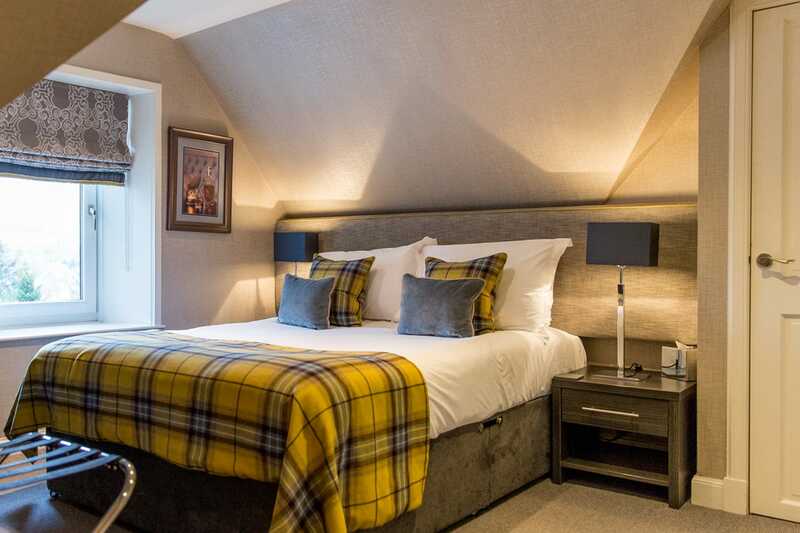 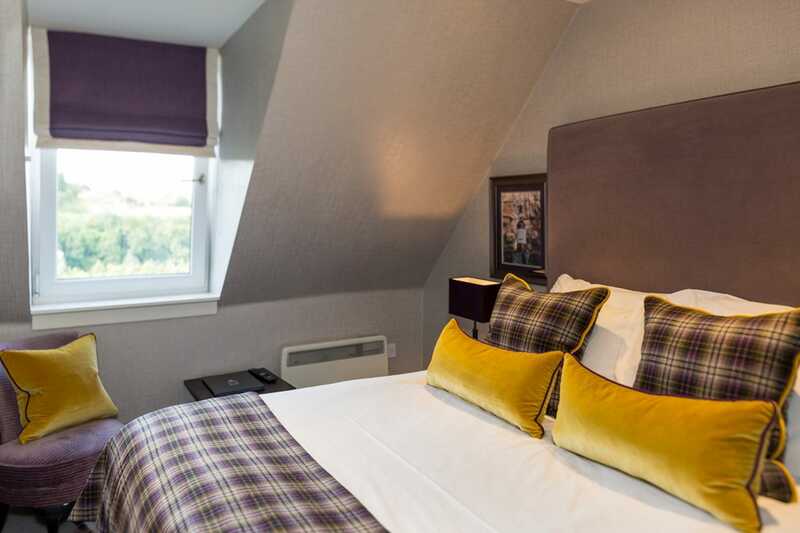 With views down over the Spey Valley in Macallan and Aberlour and a view over towards our pond in Balvenie, stand alone baths and walk-in shower enclosures, bespoke furniture and an emphasis on luxury, our Junior Suites represent the Dowans' bow to ultimate indulgence. 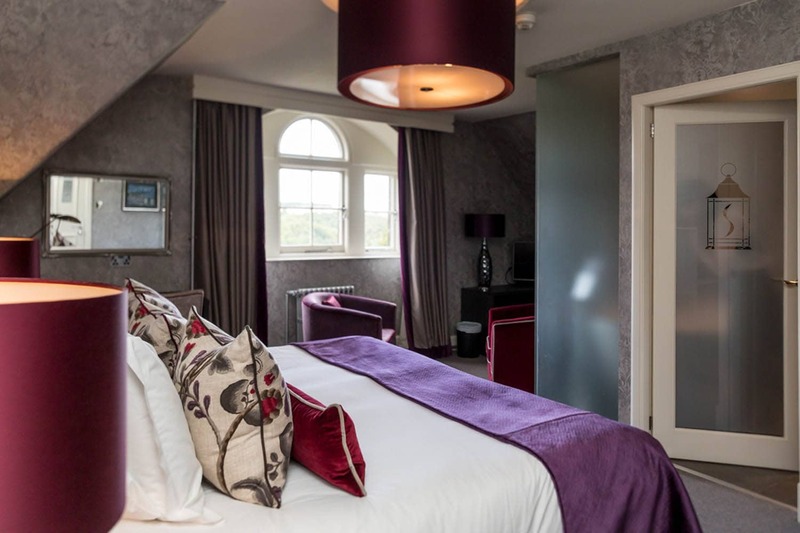 Please note that all bedrooms are upstairs, and that due to the nature of the building we don't have a lift. 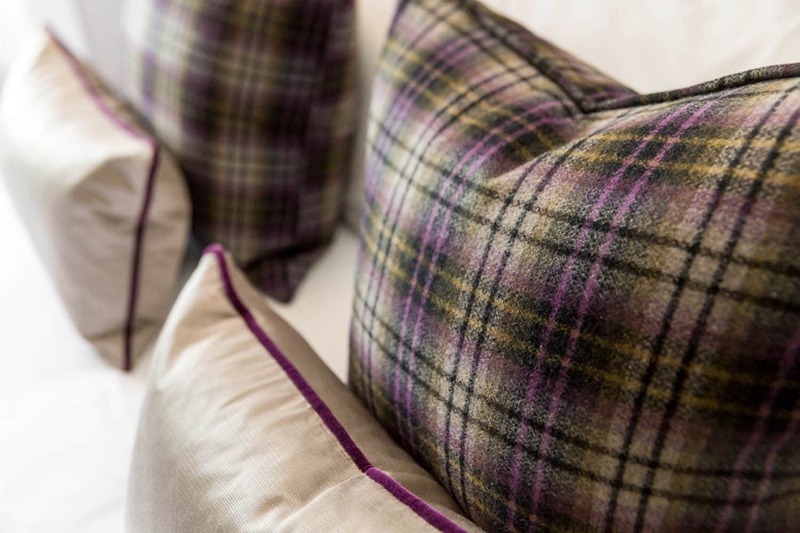 Although we will help where we can with luggage, we don't offer an official porter service. 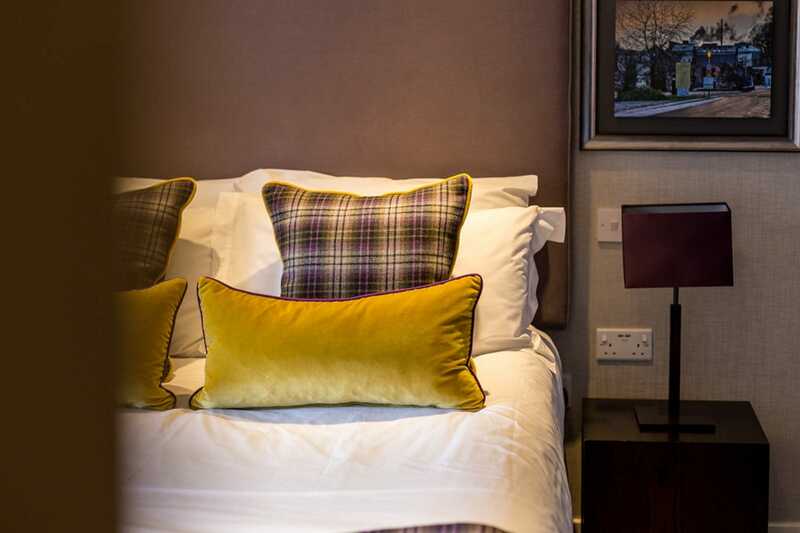 Also please note that pets are not allowed in the hotel.